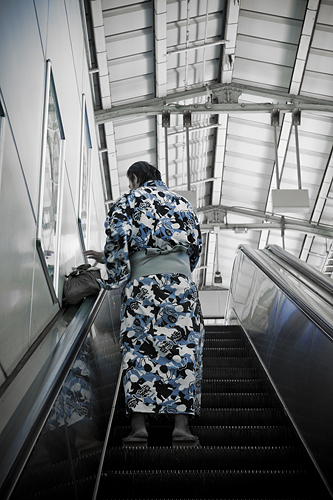 We stepped out of the train, a bit dazed and tired from the train ride, looking around trying to figure out which exit we should take to the hotel we booked online via Agoda. Luckily I chose the hotel closest to the railway and lo and behold before I finished my 360 degree turn I saw the Pearl Hotel. 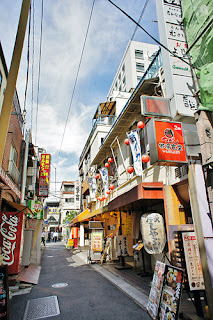 Stumbling out of the Ryōgoku metro station with all our luggage, we found ourselves in a small local district, no business and offices, no big department stores, just small local stores, a very welcoming place. 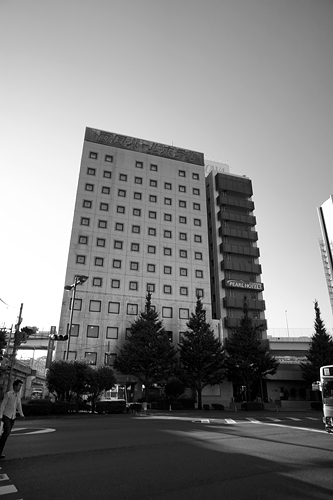 I felt good about my choice of hotel. A few steps from the station we found some mobile hawker stores selling souvenir goods, upon closer inspection they all seem to be sumo related, even though sumo is one of the most popular sport in Japan, it was still a bit strange to find a whole cart full of sumo souvenirs. A few more steps towards the hotel explained everything. 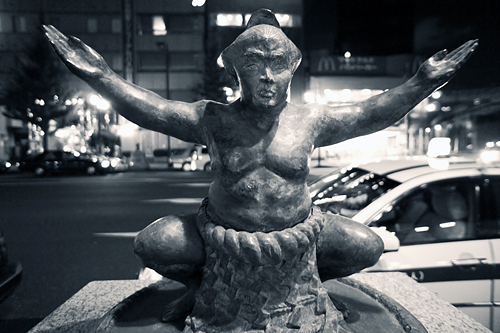 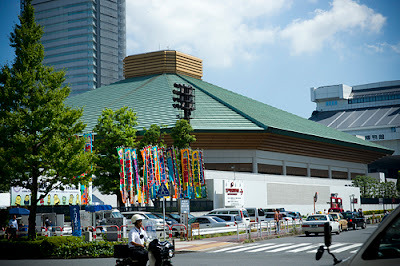 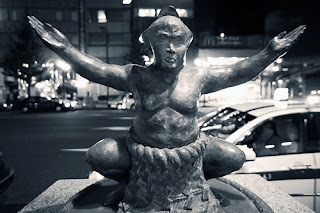 There was a sumo stadium right next to the metro station, this seems to be the "happening" place for sumo, during our stay in Ryōgoku, and we saw many sumo wrestlers in and around the station. 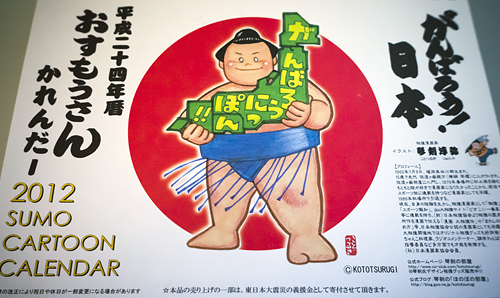 We picked out a sumo wrestler cartoon character calendar. 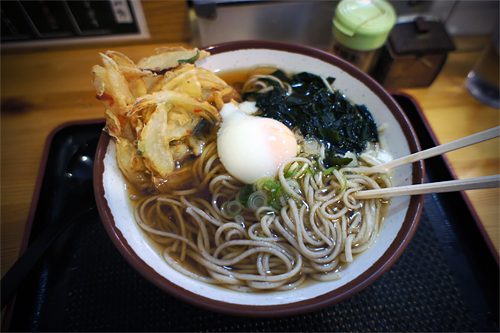 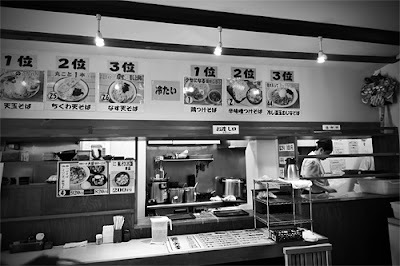 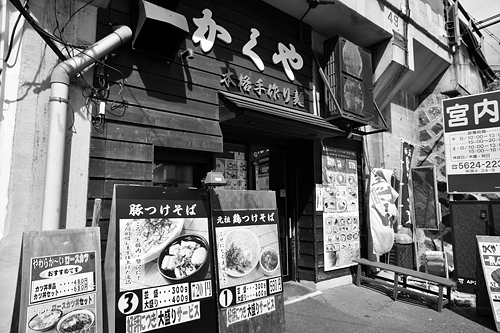 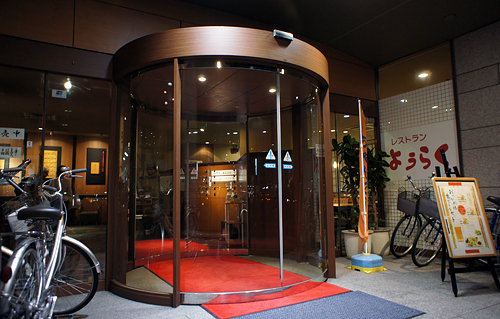 Ryōgoku also has a lot of small shops and soba seems to be the popular choice for the locals. 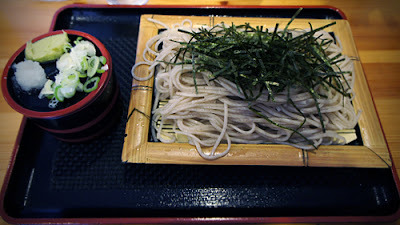 We thought we knew soba, but until we found this store in Ryōgoku we never really knew what proper soba is suppose to be like. 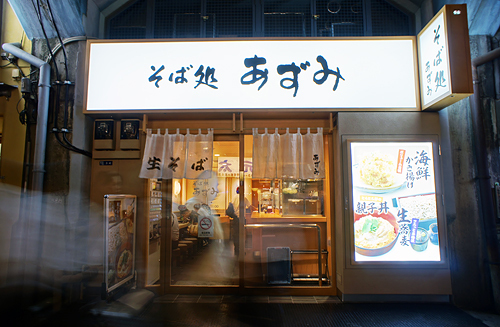 The soba from this store is just fabulous, the texture is absolutely perfect, every bite of the noodles released a spring back reaction in your mouth and the sauce is to die for, and to tops it all for 600円. We spent most of our breakfast in that one shop for the rest of our time in Tokyo.